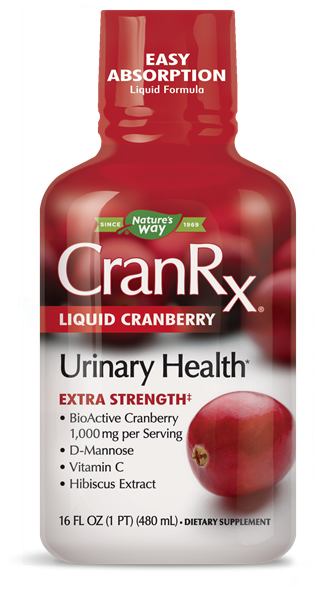 CranRx® Liquid Cranberry 16 ounce - Nature's Way®. Take 2 Tablespoons (30 mL) daily. If pregnant, nursing or taking any medications, consult a healthcare professional before use. ‡2x higher cranberry potency per serving than CranRx capsules and gummies.